Stainless steel casting is appropriately named, as it is a type of steel casting that has a unique ability to resist stains and corrosion. Ten percent or more of stainless steel comes from the addition of chromium, which is what gives the steel casting its unique properties. The steel that is used to create stainless steel casting is a low carbon steel. One of the most unique abilities of stainless steel casting is its ability to heal itself. The chromium content allows for the formation of an invisible chromium oxide film on the surface of the steel. If the damaged stainless steel casting is exposed to oxygen – even in small amounts – it will become self-healing, even with mechanical and chemical damage. When other elements, such as nickel, nitrogen and molybdenum are added during the stainless steel casting manufacturing process, these corrosion resistant properties are increased. Stainless steel casting provides a low maintenance, corrosion resistant and good-looking surface that is preferred in many industrial and daily applications. Custom part made from stainless steel casting can be made into various shapes and dimensions, making it ideal for use in food machinery, pipe fittings, medical equipment, ect. Like other custom stainless steel castings, most of the stainless steel components used in doors and windows can be made from silica sol casting process, which is suitable for small stainless steel components in complex shapes. These stainless steel components for doors and windows are named as door and window fittings, such as handles. The manufacturing of these fittings comes from the developing of moulds. After that, injecting wax into the mould for wax model, attaching these wax models to form a tree assembly, and dipping them into ceramic slurry for a cetamic shell. After dewaxing, pouring the melton metal into sprue. Finally, we can get net shaped stainless steel cast fittings. For some complicated structures, they may still need to be straightened after casting. And threads will be machined as well for fitting with doors and windows. Where to Buy Stainless Steel Castings for your Use of Doors & Windows in China? 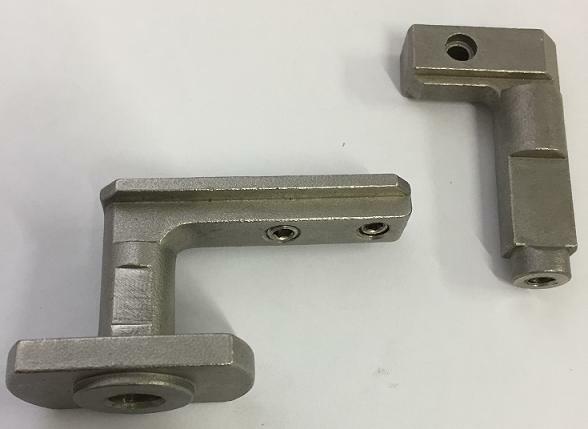 To minimize the production cost of door and windows fittings, most foreign companies from USA, UK, Canada, Australia, South Africa, ect, go to a stainless steel casting supplier in China, such as CFS foundry. With location in Ningbo, China, our company can provide custom stainless steel casting and machining service to contractors in the business of door and windows. Contact CFS foundry for more information about the various types, sizes and grades of stainless steel available.